The Department of Civil Aviation has joined in on the investigation into the landing of the Cessna 210 found burnt and abandoned this week in Spanish Lookout’s Green Hills section. Police have confirmed that illicit cargo, possibly drugs, were being transported in it but no sign of this has been found. Director of Civil Aviation Lindsay Garbutt says accident investigator Shawn Young has been working with Police on the case as a technical advisor, and efforts are being made to trace the registration of the aircraft. To him it is clear that the aircraft was burned to destroy evidence, but there is not much more known at this time. In related news, investigations are still ongoing into two crash incidents with aircraft reported last year, one at the Municipal Airstrip in Belize City and another on a flight to Roatan, Honduras, both involving Tropic Air. Garbutt says that Tropic and its rival Maya Air have enviable safety records with few incidents reported. 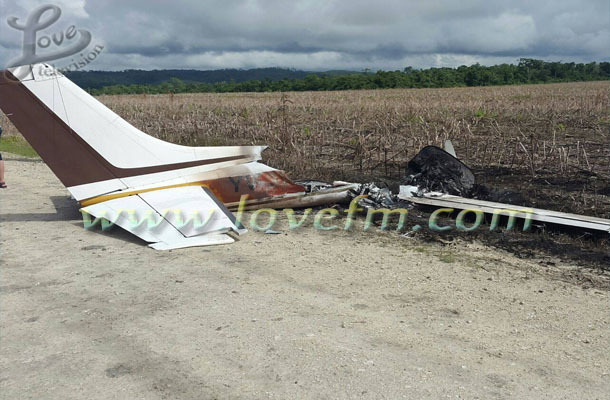 Belize -- In the wee hours of Tuesday morning, officials of the Belize Police Department and of the Civil Aviation were called out to an area west of Spanish Lookout where a single engine Cessna 210 aircraft was found torched. 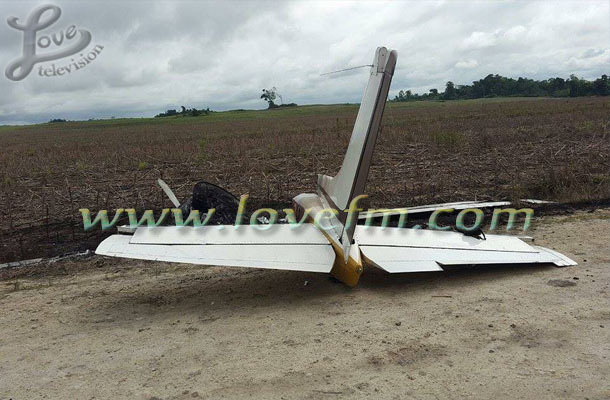 The aircraft was found on a farm road near the Aguacate Creek in the Cayo District. Authorities are saying the vessel had not crash landed but rather, was intentionally set on fire. Lindsey Garbutt, the Director of Civil Aviation spoke to the media on the incident. On March 25, 2014, there was a similar incident as local authorities had encountered a Cessna aircraft torched in the Green Hills Area in the Cayo District. 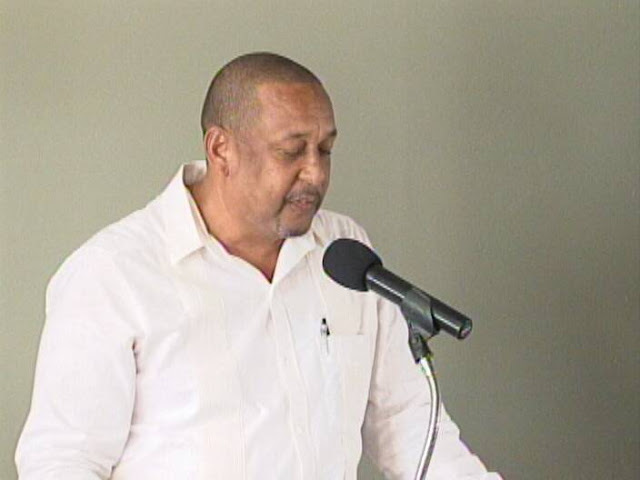 While the Civil Aviation Department had set out to do their due diligence in that incident, it had proven difficult as there was no flight plan filed; it was therefore handed over to the Belize Police Department for further investigations. BANGKOK—Thailand’s military-installed government Wednesday scrambled to minimize the potential impact from the U.S. Federal Aviation Administration’s move to downgrade its safety rating on the tourism-dependent country’s aviation industry. Its biggest concern now is that the European Aviation Safety Agency might follow suit and downgrade Thailand. That would affect the ability of state-controlled Thai Airways International PCL to add flights to the 11 European destinations it currently serves. The EASA is scheduled to release the results of its own audit of Thailand’s aviation system on Dec. 10. Thai Airways President Charamporn Jotikasthira said he wasn’t ready to disclose what the airline would do in the event that the European agency also downgrades Thailand. He said revenue generated from European destinations accounts for a third of the airline’s total. The FAA cut Thailand’s safety rating to category 2 from the top-tier category 1 rating because of its concerns about the country’s ability to properly supervise the growth of the booming aviation business. Its announcement in Washington Tuesday put Thailand alongside six other category 2 countries, including Ghana and Indonesia, and prevents Thailand-based carriers from adding new flights to the U.S.
Prime Minister Prayuth Chan-ocha, Thailand’s former army chief who seized power in a military coup last year, told reporters he had ordered aviation authorities to quickly address the FAA’s concerns. “We must accept that our standards do not meet the conditions,” Gen. Prayuth said. “We all must help while I will try to restore peace and order in the country. The FAA downgrade doesn’t necessarily mean that Thailand-based airlines, which also include the local affiliate of AirAsia Bhd., are unsafe. Rather, it indicates that aviation regulators are unable to provide sufficient oversight of the industry. 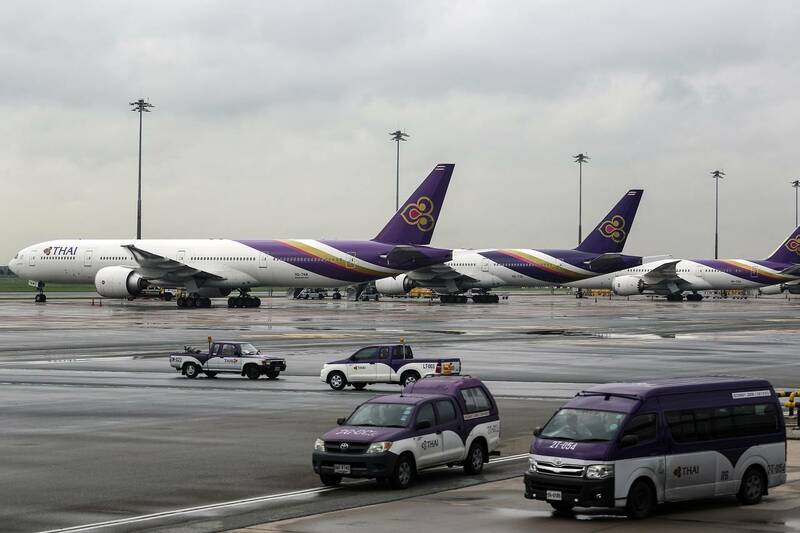 Thai Airways, Thailand’s largest carrier, shrugged off the initial impact of the FAA downgrade. “For Thai, there is no commercial or customer impact as Thai had already ceased operations to its only U.S. destination of Los Angeles as of 25 October 2015,” the company’s president, Mr. Charamporn said. Tourism industry executives were less sanguine. The FAA’s downgrade comes amid growing concerns over airline safety in parts of Asia. On Tuesday, a crash investigation report into the loss of AirAsia Flight 8501 in the waters between Surabaya, Indonesia, and Singapore last December, found that system malfunctions and improper pilot responses were to blame, All 162 people on board were killed. The disappearance of Malaysia Airlines Flight 370 in March last year with the presumed loss of all 239 people on board, meanwhile, remains unexplained. 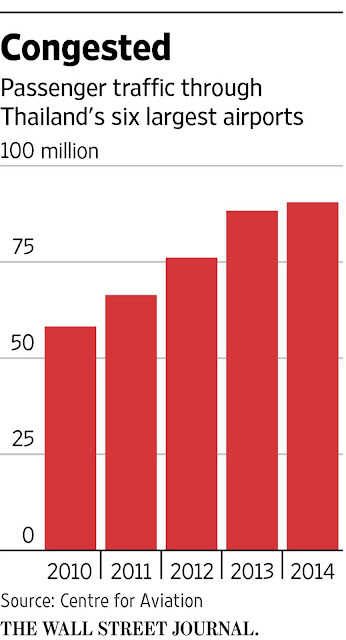 It could take some time for Thailand to recover its top-tier ranking with the FAA, though. It took Israel four years to regain its category 1 status after a downgrade, and the Philippines had to wait more than five after it was downgraded in 2008, although upgrades can happen sooner. It took India just over a year to regain its category 1 status after a downgrade last year, enabling it to add additional flights to the U.S., while Mexico recovered its top-tier ranking after four months after those countries quickly addressed the FAA’s concerns. Thailand’s challenge will be to rebuild the supervisory infrastructure that governs the industry here and to prevent any lasting damage to tourism inflows. The country’s economy is growing more dependent on tourism, which now accounts for more than a 10th of Thailand’s gross domestic product as manufacturing and exports slow in the face of sluggish global demand. Aviation and government officials here say that supervision standards haven’t kept pace with an explosion in the number of foreign tourists coming to Thailand in recent years. Many of them travel from China, Singapore and Malaysia, and the numbers have grown so much that authorities this summer repurposed an air force base east of Bangkok to help meet demand. Annual passenger traffic at airports run by Airports of Thailand, which accounts for 85% of total capacity here, ballooned to more than 90.5 million in 2014 from 58.2 million in 2010, according to the Australia-based Center for Aviation, turning Bangkok in particular into one of the world’s most-visited cities. The country’s political conflicts have hampered progress in regulating the boom, though, officials have said. Thailand has seen two military coups and a series of short-lived governments and sometimes bloody street protests since 2006. The Martha’s Vineyard Airport Commission met Wednesday morning. After an hour and a half in executive session, the commission reconvened in open session. Commission chairman Myron Garfinkle said the commission had reached a negotiated settlement with airport manager Sean Flynn, and provided a short statement for the press. Commissioners Beth Toomey, Norman Perry, Richard Michelson, Christine Todd, and Clarence “Trip” Barnes were also present at the meeting. Robert Rosenbaum participated via phone. They voted 7-0 to approve the settlement agreement. Mr. Flynn and his lawyer, Harry Beach, were not present. Further, the statement said the commission is beginning the search process for a new airport manager, and that the commission is excited about building a new Aircraft Rescue and Firefighting facility and snow-removal-equipment storage building. “We are pleased that we enjoy a cooperative working relationship with both the FAA and the MassDOT,” the statement said. 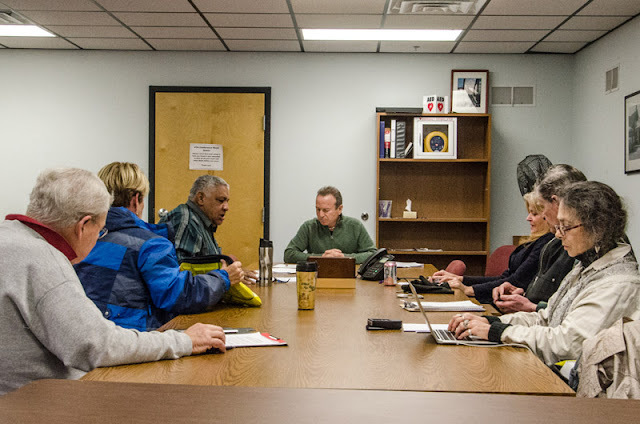 It also stated that the commission looks forward to working with the revitalized Airport Business Park Tenants’ Association, the new Experimental Aircraft Association, the IMC Club Chapter leadership, and sharing the master plan with the Vineyard community. 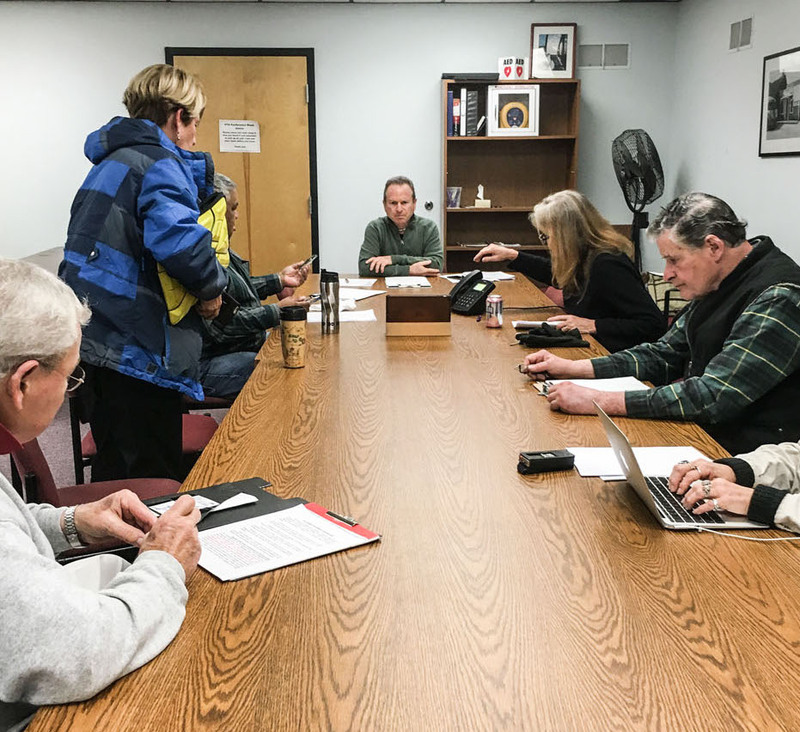 “With our vision focused firmly toward the future, your Martha’s Vineyard Airport Commission is challenged and excited by the opportunities we face,” the statement concluded. Wednesday morning, Mr. Garfinkle would not answer questions regarding the terms of Mr. Flynn’s resignation. Mr. Flynn and Mr. Beach could not be reached for comment Wednesday. Wednesday afternoon, assistant airport manager Deborah Potter provided The Times with the settlement agreement and release. In the release, signed on Nov. 27 by Mr. Flynn, it said his separation from employment is effective as of Nov. 4. It stipulated that he has until Dec. 4 to revoke his acceptance of the agreement. His formal resignation will be effective after that, on Dec. 5. The release said Mr. Flynn will be paid his earned time, worth $50,015, in addition to severance in the amount of $185,684. Part of the agreement between Mr. Flynn and the commission is a covenant not to sue, in which Mr. Flynn releases all rights to pursue legal action against the committee, the Dukes County Commission, Dukes County Manager, or Dukes County Treasurer. The same applies vice-versa; the commission agrees not to sue Mr. Flynn. The agreement specifically outlined that it is not intended, and should not be construed, as an admission by the commission, and said, “The Commission specifically denies that it has engaged in any wrongful or unlawful act with respect to Mr. Flynn, his employment, or termination thereof,” or violated any state or federal rules or laws. The same applied to Mr. Flynn. “Mr. Flynn specifically denies that he has engaged in any unreasonable, improper, or wrongful act or omission in connection with his work as Airport Manager or his management of the Airport; specifically denies that he has breached his employment agreement with the Commission” or violated any laws or rules with respect to his employment or management of the airport. In September, in a special closed-door meeting, the commissioners voted to place Mr. Flynn on paid administrative leave. The vote followed behind-the-scenes, and ultimately unsuccessful, efforts by Mr. Garfinkle to craft a separation agreement with Mr. Flynn. The negotiations began following an annual FAA inspection in May that highlighted a long-overdue aircraft rescue and firefighting (ARFF) building construction project, the lack of a wildlife management plan, and inadequate runway markings that prompted what Mr. Garfinkle said was a FAA letter of investigation. At that time, Mr. Flynn said efforts to oust him were the outgrowth of the long and debilitating battle between the Dukes County Commission and its appointed Airport Commission, and violated the terms of his contract. He promised a costly legal battle if there were no resolution. The September vote formalized Mr. Flynn’s status, which had been unclear for more than seven weeks. Assistant airport manager Deborah Potter took on the airport manager duties in the interim. 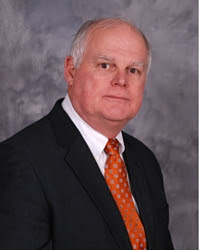 Mr. Flynn first became airport manager in 2005. He was in the fifth month of a new three-year contract that took effect July 1, which paid him $138,882 annually. 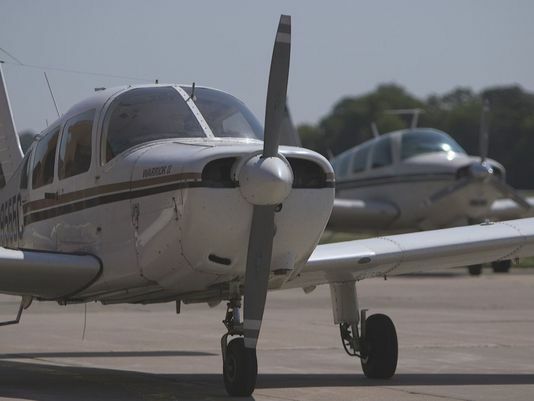 A controversial plan to overhaul the main runway at the Lake Elmo Airport will be discussed Monday at a Metropolitan Airports Commission committee meeting. MAC officials are considering a compromise plan to relocate and extend the 2,850-foot northwest/southeast runway to 3,500 feet -- 100 feet shorter than the preferred alternative proposed this summer. In addition, the commission has proposed less drastic changes to 30th Street North. Instead of realigning the road around the south end of the new runway on airport land, as originally proposed, the street could connect back to the existing Neal Avenue intersection. Airport planners will recommend that the MAC planning, development and environment committee replace the original preferred alternative with the "scaled-back or refined proposal," commission spokesman Neil Ralston said. That alternative then would be considered by the Metropolitan Airport Commission on Dec. 21, Ralston said. If the committee and the MAC agree, the report would be updated with the alternative and an opportunity for public comment would be scheduled, most likely beginning in January, he said. The proposal then would return to the planning, development and environment commission and the full MAC in March, Ralston said. The Metropolitan Council regional planning agency could consider the plan for final approval in early April, he said. If approved, the $11.5 million project would be funded by "users of the aviation system via Federal Aviation Administration and/or Minnesota Department of Transportation grant programs and internal MAC funds," Ralston said. No local sales or property taxes would be used to fund improvements, he said. Dave Schultz, a supervisor for West Lakeland Township, said he expects residents to attend the meetings to voice opposition to the plan. "The alternative plan that they have come up with doesn't meet the needs of the residents," he said. "Homes near the airport will still be impacted by takeoffs and landings." MAC officials say the runway work would improve the airport's safety and allow for use by a wider range of propeller-driven aircraft. Opponents are concerned about noise and the possibility that a longer runway would open the door to larger planes operating there. The Metropolitan Airports Commission's planning, development and environment committee will discuss the compromise plan for the Lake Elmo Airport at 10:30 a.m. Monday at the commission chambers at Terminal 1 of the Minneapolis-St. Paul International Airport. The Assistant Aviation Director of Operations has filed a discrimination lawsuit against the city of Charlotte. He's worked for the airport for 19 years. Herbert Judon, who is African American, says he's been overlooked for promotions because of his race. “The City respects Mr. Judon’s right to seek redress through the courts. The lawsuit will have no effect on the city’s treatment of Mr. Judon as an employee. Beyond that, it would be inappropriate to comment on the substance of Mr. Judon’s allegations at this time," said City Attorney Bob Hagemann. 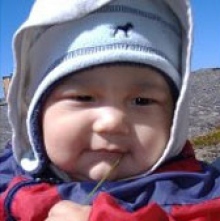 Six-month-old Isaac Appaqaq died in the Dec. 22 crash in Sanikiluaq. Canada's Transportation Safety Board says it's satisfied Transport Canada is working on improving safety for children travelling in aircraft, but notes that nothing has been done yet to reduce risks identified following a fatal crash in Sanikiluaq. The TSB released its report this past June on the crash in Sanilkiluaq, Nunavut, that happened just before Christmas 2012. 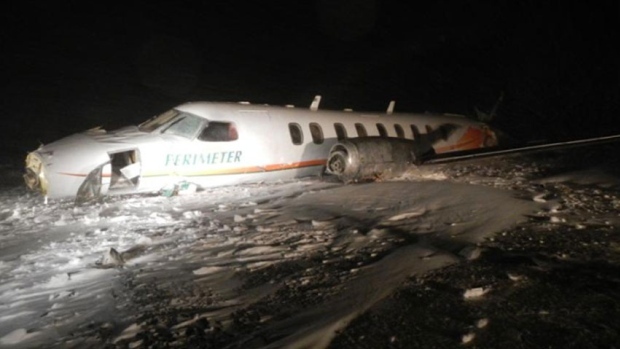 A Perimeter Aviation turbo-prop plane carrying seven passengers and two crew members crashed Dec. 22, 2012 about half a kilometre from the end of the runway. Eight people survived with non-life threatening injuries. Six-month-old Isaac Appaqaq was thrown from his mother's lap in the crash and died from his injuries. The TSB's first recommendation was for commercial air carriers to collect data on the number of infants and young children travelling on their aircraft. Transport Canada has said in its September update that it is still looking at ways to collect the data. "The actions proposed by Transport Canada constitute a first step in the right direction," said Joseph Hincke, a member of the TSB board in a news release. "However, efforts to enhance safety for infants and children will continue to be delayed until more detailed information is available on emerging trends about the carriage of children aboard aircraft." Transport Canada also said it was working on the second recommendation, looking at ways to expand the range of child restraint systems on aircraft. "Although the proposed actions may have some benefits, Transport Canada has not yet identified any specific solutions to ensure that infants and young children are provided with a level of safety comparable to adults," Hincke said. Overall the TSB has rated Transport Canada's progress on its recommendations as satisfactory in intent, meaning the planned actions will achieve the safety goals when implemented, but as of yet nothing has been done to reduce the risks. Embattled airline Skywise has been grounded indefinitely by Acsa due to unpaid service fees. In a desperate move the airline has written an open letter to the state, saying "with R4-million in arrears with ACSA and R4-million with ATNS, the airline is already on Fly as You Pay." Following an initial grounding on 13 October, the airline said "an agreement had been reached to pay the arrears in installments. Despite making two of the agreed payments, the airline said an extension on its third payment due on 1 December had been refused. "Two installments were duly paid. The third installment was due to be paid on 1 December for which an extension of 48 hours was requested and rejected." "More than 200 people work for Skywise and it is funded with personal funds without any government support or institutional loan. Any business takes 6-8 months to break even and we were close to that." "We got a notice at 17:00 Tuesday, 1 December to be shut down with immediate effect." Skywise said that with a country "choking unemployment levels at above 20%" it did not expect Government authorities to react in this manner. "When Government is spending about R1 billion a day in infrastructure development it is logical that they protect businesses that will complement such efforts and speed up economic growth." 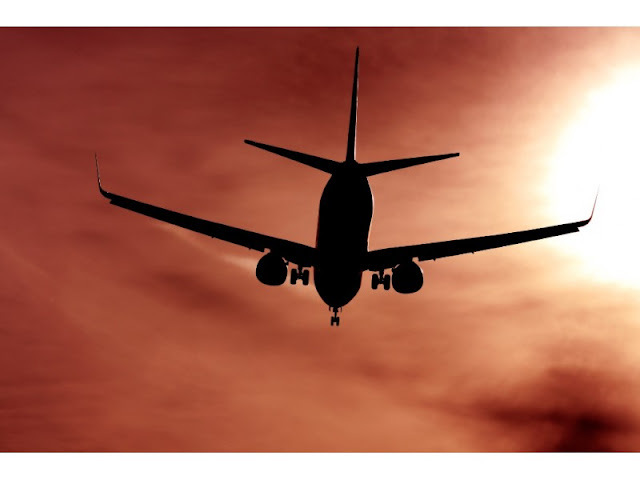 "While the aviation industry is a catalyst to economic growth, in South Africa it is a world where a few people influence the decision making processes for their own benefits, and are responsible for the previous failure of 11 private airlines. "People like us still take the challenge to reduce unemployment, grow the domestic aviation industry and the greater economy only to become a victim of financial stress when billions of rand is readily available to bail out the national carrier. "More than R65 million personal funds has been invested in Skywise and 4 years of hard work have brought us so far to serve the needs of South African travellers and continue to offer them affordable air fares. "For about 8 months we had made losses and we were now getting to a point where we can break even. With peak season ahead and more than 8 000 passengers having booked to fly with Skywise airline, they must be looking forward to have their holidays. "Most of them have never flown before and now have a chance to fly on affordable rates because of Skywise airline. 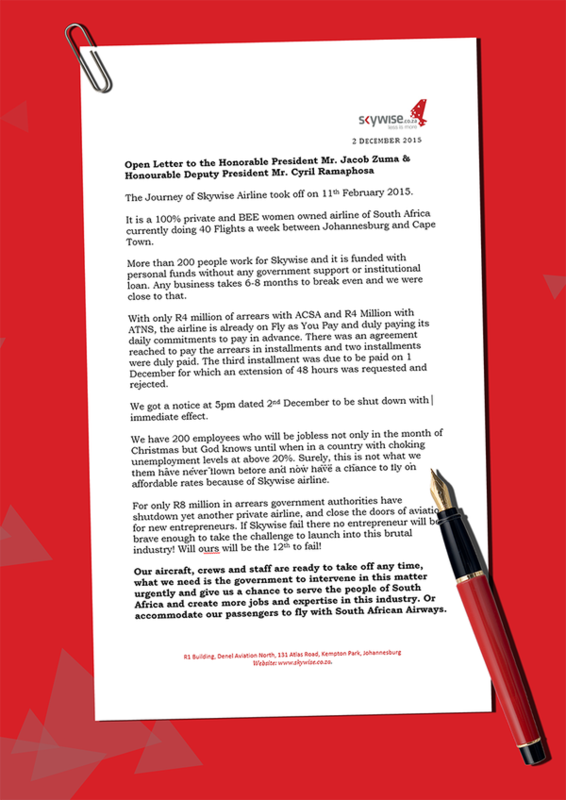 In the letter Skywise hinted at the previous foreclosures of previous airlines such as 1Time and Nationwide , saying " government authorities have shutdown yet another private airline, and closed the doors of aviation for new entrepreneurs. If Skywise fail there no entrepreneur will be brave enough to take the challenge to launch into this brutal industry! "Will ours will be the 12 th to fail?" "Our aircraft, crews and staff are ready to take off any time, what we need is the government to intervene in this matter urgently and give us a chance to serve the people of South Africa and create more jobs and expertise in this industry. Or accommodate our passengers to fly with South African Airways." 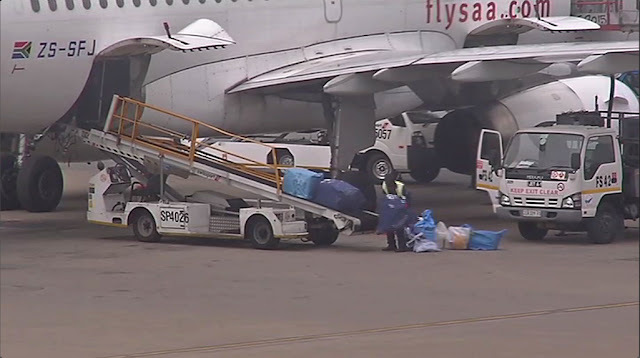 Skywise Airline is a private airline, which took off on 11 th February 2015 and currently does 40 Flights a week between Johannesburg and Cape Town. 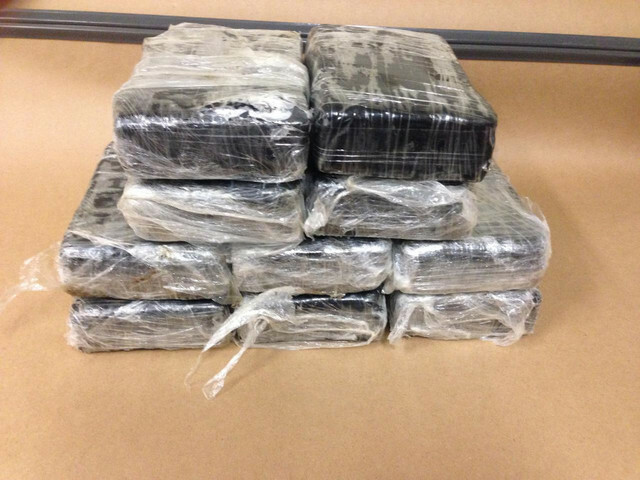 TULSA, Okla. - More than 26 pounds of cocaine was discovered on an airplane at Tulsa International Airport Tuesday. The drugs were found on an American Airlines airplane that was undergoing service. Mikey McBryan, general manager of N.W.T. 's Buffalo Airways, was among the family and staff featured on the reality TV show Ice Pilots NWT. Transport Canada has grounded the operations of Buffalo Airways, the popular northern airline chronicled over six seasons on TV's Ice Pilots NWT, due to safety compliance issues. In a release Tuesday, the regulator said it is suspending the airline's air operator certificate due to its "poor safety record." The suspension took effect Monday at 11:59 p.m.
"The department will not allow Buffalo Airways to resume its commercial air service until it proves it can keep its operations consistently compliant with aviation safety regulations," the release stated. Transport Canada says it consulted the airline in the lead-up to the suspension. The suspension follows a history of incidents. In August 2013, a Buffalo Airways DC-3 made a hard landing at the Yellowknife airport 30 seconds after takeoff, and right after its right engine burst into flames. All 24 people on board were fine, a fact some attributed to a "damn good pilot." Four months later, a Buffalo Airways C-46 plane, bound to pick up freight in Hay River, N.W.T., caught fire after it blew an engine while taxiing down the runway at the Yellowknife airport. Last summer, the company was fined after pleading guilty to three violations of the Transportation of Dangerous Goods Act. The airline was charged with using too-large tanks to haul diesel fuel to two remote exploration camps in 2012, with improper labelling and missing paperwork. Company official Rod McBryan said Buffalo had been using the tanks for 35 years. 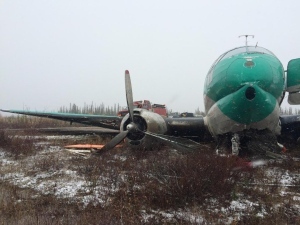 This October, a cargo plane belonging to Buffalo Airways crash landed outside of Deline, N.W.T. Earlier this year, the TSB released its report into the 2013 hard landing in Yellowknife. The report cited engine failure and an overloaded plane, as well as larger concerns about the airline's safety practices. The board wrote: "… the organizational culture at Buffalo Airways was not supportive of a system that required the organization to take a proactive role in identifying hazards and reducing risks. "The company's response to deficiencies identified during [Transport Canada] surveillance activities demonstrated an adversarial relationship between the company and the regulator." 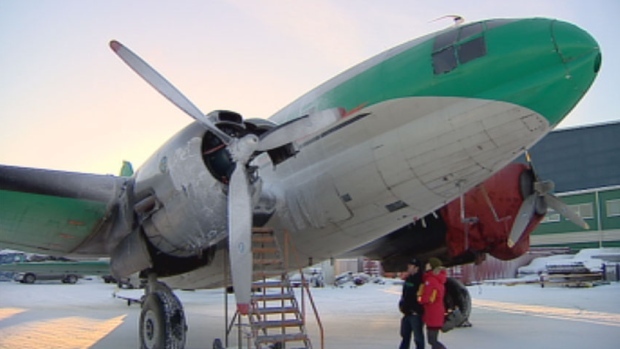 The History Channel aired the last episode of Ice Pilots NWT, which depicted the day-to-day operations of Buffalo Airways, in December 2014. The show helped the airline based in Hay River, N.W.T., garner a cult following. 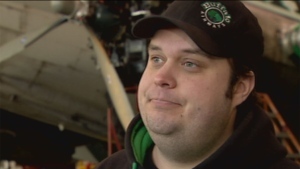 YELLOWKNIFE – A northern air carrier behind the popular TV show “Ice Pilots” has been grounded over safety concerns. And a Transportation Safety Board report into the operations of Yellowknife’s Buffalo Airways has raised questions about how Canada ensures all its air carriers are operating safely. “The current approach to regulatory oversight, which focuses on an operator’s (practices) almost to the exclusion of verifying compliance with the regulations, is at risk of failing to address unsafe practices and conditions,” says the report. Buffalo Airways was the subject of a reality TV show that ran six seasons on the History Canada channel. Transport Canada pulled the carrier’s operating licence on Tuesday and the airline is prohibited from providing commercial air services. “Transport Canada took this serious action in the interest of public safety because of Buffalo Airways’ poor safety record,” said a government release. The suspension comes after an investigation into a crash in 2013. Shortly after takeoff, one of Buffalo’s Second World War era DC-3 airplanes had an engine failure and crashed into trees while the pilot was trying to circle and land. None of the 21 passengers and three crew was injured. An investigation by the Transportation Safety Board found a list of shortcomings in the airline’s maintenance of operations. The engine failed from an undetected cylinder crack. A pump that would have adjusted the dead propeller to keep the plane manoeuvrable didn’t work. Passengers and freight weren’t weighed before takeoff and the plane was significantly overweight. The TSB’s report pointed out that Transport Canada had conducted “surveillance activities” on Buffalo four times over the previous three years. The carrier had adopted an “adversarial” stance to inspectors, the report noted. The report raised questions over Transport Canada’s reliance on so-called safety management. Such systems let carriers tailor safety practices to meet their operating requirements, as long as they are within guidelines set out in regulations. Companies are to measure how well their practices work. Not only were Buffalo’s systems inadequate, Transport Canada’s inspections didn’t catch the problems, said the safety board’s report. “The focus of all surveillance activities conducted in the three years leading up to the occurrence was on process related to the (safety management system). Transport Canada’s surveillance activities did not identify the operator’s unsafe operating practices. The report suggested that federal inspectors not only must check that safety practices are in place, but must actively ensure planes meet standards, especially when there’s a recalcitrant operator. Officials with Transport Canada or Buffalo Airways were not immediately available for comment. Lasers struck four aircraft flying over Phoenix late Tuesday, FAA officials said — the latest incidents in what police described as a "non-stop" battle in the area. The aircraft were headed to the municipal Phoenix Deer Valley Airport — about 20 miles north of the main Sky Harbor Airport — when pilots encountered a green laser. No injuries were reported. 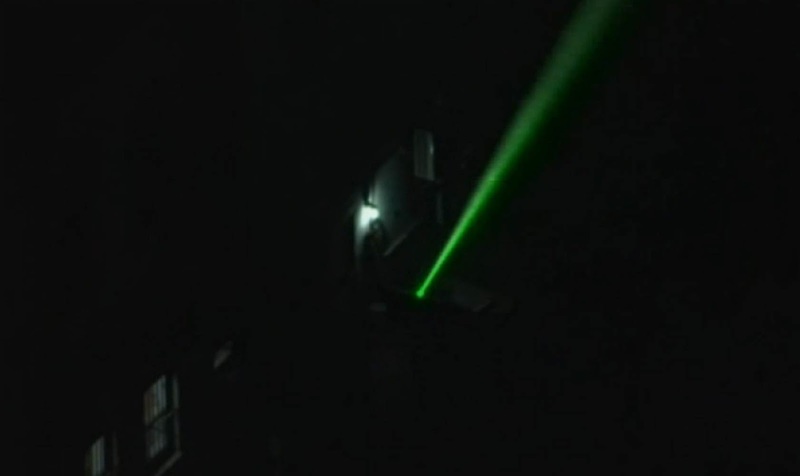 A police helicopter flew to the area where the laser strikes were reported but was unable to find the culprit. Officer John Meche, a police pilot with the Phoenix Police Air Support, told NBC News that laser strikes were frequent in the area, saying: "It's non-stop here." A third event, involving a Cessna 172 heading southwest at 2,900 feet about 4 miles east northeast of Phoenix, was reported at 8:30 p.m. local time (10:30 p.m. ET). A fourth encounter was reported at 8:50 p.m. local time (10:50 p.m. ET) involving a Piper PA28 that was flying east northeast at 2,900 feet around 7 miles west southwest of the city. 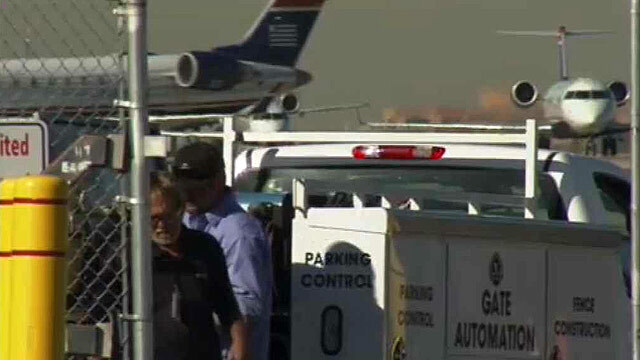 "All aircraft were headed to the Phoenix Deer Valley Airport but were transitioning the Phoenix area airspace," FAA spokesman Allen Kenitzer told NBC News. It follows an Oct. 27 incident in which a laser light was shone at an American Airlines captain as his jet was about to land in San Diego. Workers repair a fence that was damaged when an impaired woman drove through. PHOENIX - A woman who crashed her car through a security gate at Phoenix's airport three years ago and drove onto a runway with her infant son in the vehicle has reached a plea deal in which she won't serve any time in jail. The no-contest plea on a child abuse charge calls for 24-year-old Koko Nicole Anderson to be placed on probation, attend parenting classes, undergo mental health treatment and monitoring, and pay unspecified restitution for the 2012 security breach at Sky Harbor International Airport. The breach raised alarm about whether the nation's airports were truly secure. Phoenix officials had said they were satisfied with the airport's fence security and other measures to protect the airport. A subsequent investigation by The Associated Press earlier this year found that on several hundred occasions over the last decade, intruders have hopped fences, crashed cars through gates or otherwise breached perimeter security at the nation's busiest airports. The lapses exposed gaps in airport security post-9/11 as passengers inside terminals face rigorous screening such as removing shoes and belts while people have been frequently breaching the perimeters of bustling airports. In Phoenix in 2006, a pilot nearly collided with a man on the runway as he was about to take off. The suspect was arrested, and told authorities that he jumped the fence to take a shortcut. On Christmas Day 2013, a homeless man scaled a barbed-wire fence at Sky Harbor and ran onto the tarmac, banging on the engine of a Southwest Airlines plane. He got seven days in jail and probation. Authorities say Anderson was pursued on the air field by police vehicles and lost control of her sedan as her car made its way onto a runway and then sped off again. Police records said she then hit a portable toilet and kept driving until an officer rammed her car and caused it to spin around and crash into a fence. Airport officials say no aircraft were nearby at the time and no passengers were put in immediate danger. The security breach prompted a halt to air traffic operations for about 15 minutes. Investigators initially suspected Anderson was under the influence of an unknown drug, but ultimately didn't find any traces of illegal substances in her system. Anderson, who was found inside the car with a pacifier in her mouth, told KPHO-TV in late 2013 that she has bipolar disorder and wasn't taking medication at the time because she was breast-feeding. "The (plea) offer seems directly related to her mental health issue, and this resolution ensures she would get the help she needs," said Jerry Cobb, a spokesman for the Maricopa County Attorney's Office, which prosecuted Anderson. Police say Anderson, who entered the no contest plea on Nov. 24, drove through a pay gate in an airport parking lot before she headed to a security gate on the airport's edge that was partially open because a Sky Harbor operations worker was testing it. Her 2-year-old son was in a car seat. Her lawyer, Bernardo Garcia, said Tuesday that his client wasn't impaired during the incident, but declined to make additional comments. The airport said Anderson allegedly caused $13,500 in damage. Sentencing is set for Jan. 29. A former revenue analyst for Virgin America at San Francisco International Airport pleaded no contest to embezzlement Monday for stealing more than $200,000 from the company in 2012 and 2013, prosecutors said Tuesday. DeSonia Crossley, 43, of Pacifica, worked for the airline starting in December 2010. In August 2013, Crossley went on vacation and another analyst for Virgin America noticed numerous refunds were made to the same credit card, according to the San Mateo County District Attorney’s Office. A company audit determined she had taken $224,750 through 108 fraudulent refunds between July 2012 and September 2013, prosecutors said. Crossley was charged with embezzling more than $200,000 and entered the no contest plea Monday in exchange for a sentence of no more than a year in county jail, prosecutors said. She is scheduled to be sentenced on March 4. James Douglas Alexander, husband of Vicki Black Alexander, went to be with his Lord and Saviour on Tuesday, December 1, 2015. Born in Greenville, he was the son of Sarah Allen Alexander and the late James Herbert Alexander. Jim served in the US Army. He was CEO of Special Services Corporation and partner in Electrical Contractors. He was a member of Tabernacle Baptist Church. Above all, he lived faithfully, selflessly, and graciously for his family and friends, giving all glory to the Lord. Surviving, in addition to his wife and mother, are daughters, Kimberly Barker (Roger) of Easley, Jennifer Goldstrom (Doug) of Greenville, Charlene Stephens (James) of Cayce, and Jessica Alexander of Jacksonville, FL; brothers, Bob Alexander (Susie) of Simpsonville and Ronnie Alexander (Louise) of Greenville; sister, Dianne Goins of Greenville; sister-in-law, Becky Wardlaw of Greenville; and grandchildren, Cake, Scooter, Butterbean, Buster, Isabella, Elle, Aves, Sami, Wally, and CherryTop. He was predeceased by daughter, Abigail Alexander. Visitation will be held Friday, December 4, 2015 from 6:00 to 8:00 p.m. at Thomas McAfee Funeral Home, Downtown. 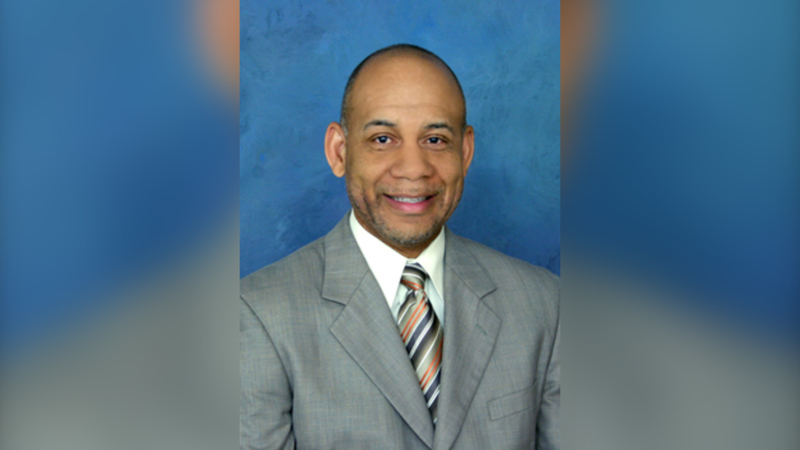 The funeral service will be held Saturday, December 5, 2015 at 10:30 a.m. at Tabernacle Baptist Church. Burial will be in Graceland Cemetery, West. Written by: Special Services Corporation -- We are sad to let everyone know our company CEO, Jim Alexander, suddenly passed away this week. He spent nearly 40 years in aviation and 30 at the helm of Special Services Corporation. Of all these roles and responsibilities, the most important part of his life was his service to his LORD and Savior, Jesus Christ. If there is one thing that people will remember about Jim, it will be his heart to help others. His generosity, care for others, and willingness to jump in and give to whomever needed it, will be sorely missed. Our prayers are for his loving family at this time of unexpected loss. I know the family would covet your prayers at this time. Funeral will be Saturday, December 5, 10:30 AM at Tabernacle Baptist Church on White Horse Road Greenville SC. GREELEYVILLE, SC (FOX Carolina) - A pilot died just before taking off on a routine charter flight from the Greenville Downtown Airport (KGMU). Joe Frasher, director of the airport, said the pilot - who had flown for nearly 30 years - was set to take off on a routine charter flight on a Cessna jet around 11 a.m. Tuesday. As they were preparing to take off, the pilot had a health issue. A copilot taxied him back to the terminal. Emergency medical responders worked on the pilot for some time. "He was great guy, a longtime friend of the downtown airport. He flew for the Liberty Corporation for years. When RBC bought Liberty, they turned the flight department into a charter company called Special Services Corporation," Frasher said. He said the pilot was "a longtime supporter of all charitable efforts at the airport. He will be dearly missed." The Greenville County Coroner's Office has not released the pilot's name as of 2:10 p.m. Tuesday. Nearly a decade after first proposing a major addition to Fort Collins-Loveland Municipal Airport, Windsor developer Martin Lind is back with new plans for the airport. Lind presented preliminary plans to the new Northern Colorado Regional Airport Commission last week that propose building about 30 hangars and two large commercial buildings on roughly 50 acres. If approved by the commission, which now oversees the municipally owned airport, the airport would lease land to Lind and his company, Water Valley. Whether the project moves forward rests on the ability to negotiate favorable lease terms — a minimum of 50 years — with the commission, Lind said. "The critical question is can we get a lease that entices private development on public land," he said. As airport governance changed from Fort Collins and Loveland city councils to a regional airport commission, Lind said the business model sought to entice private equity. "We're honoring that business plan with this proposal," he said. "We're hoping we can get a recommendation from (airport) staff in the near future that is positive." If that happens, Water Valley would serve as the master developer, lease the land from the airport and then go into the market to find aviation-related parties to build or lease existing space. The airport has seen significant growth in its amount of corporate and business users within the last three years, necessitating more hangars, airport manager Jason Licon said. The airport currently owns 40 of the roughly 200 hangars on site. All of the hangars are leased. "The airport has doubled its corporate aviation," Licon said. "That trend has really grown, so the amount of space available for those types of users is maximized with what currently exists. Water Valley is trying to capture the market demand that has shown growth over the last few years." To entice corporate traffic to the airport "it has to have world-class facilities," Lind said. "Safety and reliability is No. 1. You can't have a $50 million jet and have a hangar door that's broke so you can't get in or out. We just don't have any facilities." The airport has seen no private investments in 30 years while the area around the facility has seen "billions of dollars of private investments," Lind said. "It isn't that the area isn't growing and in need of corporate travel; it just simply has been hard to do that. We're hoping to change that." Lind's plan would be phased in as the market demands. If the project were to go forward, Lind said he hopes to make a hard marketing push next year. "If it's delayed too long we will miss another year and I will be like a Labrador puppy and a butterfly and I will go chase after something new." Developing part of the airport has long been on Lind's wish list. Prior to the recession, he had plans to develop 225 acres in two parcels north and east of the airport . He envisioned aviation-related businesses such as airplane or parts manufacturers, new engine technology companies and services including high-end hangars. He also wanted to add a fixed-base operator, or FBO, that would provide fuel, oxygen, catering and even a restaurant. Plans stalled when the economy took a nosedive and Lind sold a portion of the property. A former test pilot of America’s most advanced stealth fighter jet says unmanned aircraft will take over more and more roles pilots once did, but the era of humans in the cockpit hasn’t passed into history. In “risky areas,” UAVs might be flown to avoid the loss of a pilot, added the former Air Force aviator who flew combat missions in Vietnam. The Ohio State University and Northeastern High School graduate was Lockheed Martin’s chief test pilot flying the F-22 Raptor. Metz was set to talk about the stealth fighter jet’s history at a Dec. 1 lecture at the National Museum of the U.S. Air Force. The Air Force’s latest generation fighter jets, the F-22 and the F-35 Joint Strike Fighter, are the only high-tech fighters in the U.S. fleet capable of surviving the most heavily defended enemy airspace ringed with advanced surface-to-air missiles, modern fighters and airborne early warning systems, Metz said. “The reality is that we could find these weapons anywhere in the world facing us and they are so potent that the conventional fighters simply cannot penetrate into enemy airspace without suffering massive losses,” he said. Metz flew the Northrop-McDonnell Douglas YF-23A Black Widow II prototype in the Advanced Tactical Fighter competition and later flew an early test model of the F-22A. The YF-22 and YF-23, both prototypes, competed in a fly-off to land an Air Force fighter contract to replace the F-15 Eagle. The Air Force said both jets met the competition’s requirements. The F-22 was chosen in 1991. Metz declined to comment on which plane was best. “The answer is no one knows because no pilot was allowed to fly both of the prototypes, the YF-22 and the YF-23, so nobody ever made that comparison,” he said. Both the F-22 and the YF-23 are in the museum’s collection. The YF-23 is temporarily off public display until a new gallery hangar opens next June. The Air Force initially targeted buying 750 of F-22s, but the Pentagon slashed the number to 187 and ended production of the fifth-generation fighter. Stealth significantly reduces the ability to spot the jet on radar, observers say. The F-22 has a “super-cruise” mode and thrust-vectoring engines to maneuver at angles in flight conventional fighters can’t reach. Compass Airlines has agreed to increase pay and benefits for some of its 720 pilots. The contract amendment hikes pay 40 percent for first-year first officers from $25.54 per flight hour to $35.81, a spokeswoman said. The new contract also gives four paid hotel stays per month to commuting pilots, who had none before the change. The changes took effect Nov. 1 after the Minneapolis-based carrier and its pilot union agreed to open the May 2014 contract for amendments. Compass Airlines CEO Rick Leach called the new deal "mutually beneficial." "This agreement gives Compass the tools it needs to remain competitive in the regional airline marketplace," he said in a news release. "The recent mediated settlement agreement has addressed a number of issues that will improve all our pilots' quality of life," Compass Air Lines Pilots Association group leader Anthony Zerafa said in the joint statement. Compass pilots fly Embraer 170 and 175 regional jets for Delta Air Lines Inc. as Delta Connection and American Airlines as American Eagle. Based out of Minneapolis-St. Paul International Airport, the carrier has crew bases in Minneapolis, Los Angeles and Seattle. Compass says it averages more than 220 daily North American flights serving more than 4 million passengers a year. The carrier is adding 20 Embraer 175 aircraft to its fleet this year, which it expects will increase passenger traffic by 36 percent between 2015 and 2016. MINNEAPOLIS, Dec. 1, 2015 /PRNewswire/ -- Compass Airlines is pleased to announce that the Collective Bargaining Agreement (CBA) for its pilot group has been amended to increase first year, First Officer pay to $35.81 per flight hour. An additional highlight of the amended CBA is the provision of four paid hotel stays per month for commuting pilots. The amendment also gives Compass the flexibility to quickly raise first year pay in response to market conditions. The agreement was reached as part of a voluntary mediated settlement of a number of outstanding issues between Compass Airlines and its pilot group, represented by the Air Line Pilots Association (ALPA). "We are delighted that the global resolution process has resulted in an agreement that is mutually beneficial for both parties, and allows us to move forward with an amended agreement that increases compensation for Compass pilots," said Rick Leach, Chief Executive Officer of Compass Airlines. "Additionally, this agreement gives Compass the tools it needs to remain competitive in the regional airline marketplace." Anthony Zerafa, the leader of the Compass ALPA pilot group said, "The recent mediated settlement agreement has addressed a number of issues that will improve all our pilots' quality of life. We are dedicated to continue working on behalf of all of our pilots to ensure Compass' continued success." Compass Airlines serves over 4 million passengers annually, averaging over 220 daily departures to destinations in the United States, Canada and Mexico. Compass operates a fleet of Embraer 170/175 aircraft on behalf of American Airlines (as American Eagle) and Delta Air Lines (as Delta Connection), and is in the midst of major growth, adding 20 Embraer 175 aircraft to its fleet in 2015. This growth is projected to increased passenger traffic by 36% between 2015 and 2016. Headquartered in Minneapolis, Compass has crew bases in Minneapolis, Los Angeles and Seattle.